Soap and washcloth all in one. 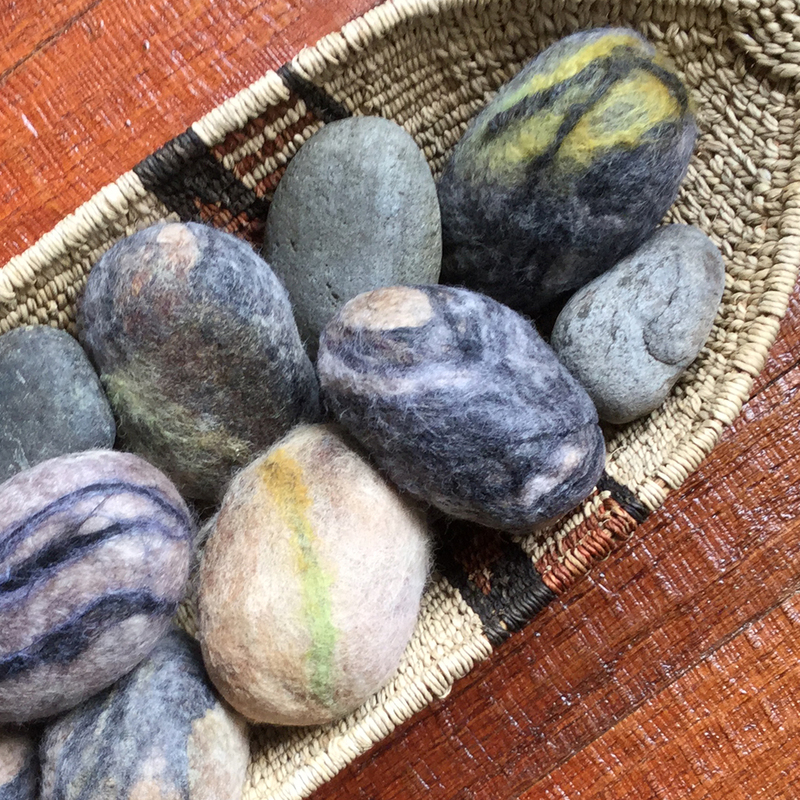 Nigerian Black Soap felted in fine merino wool exfoliates and prolongs the life of the soap. Wool shrinks as soap is used and has natural anti-fungal properties so the bar will remain fresh. 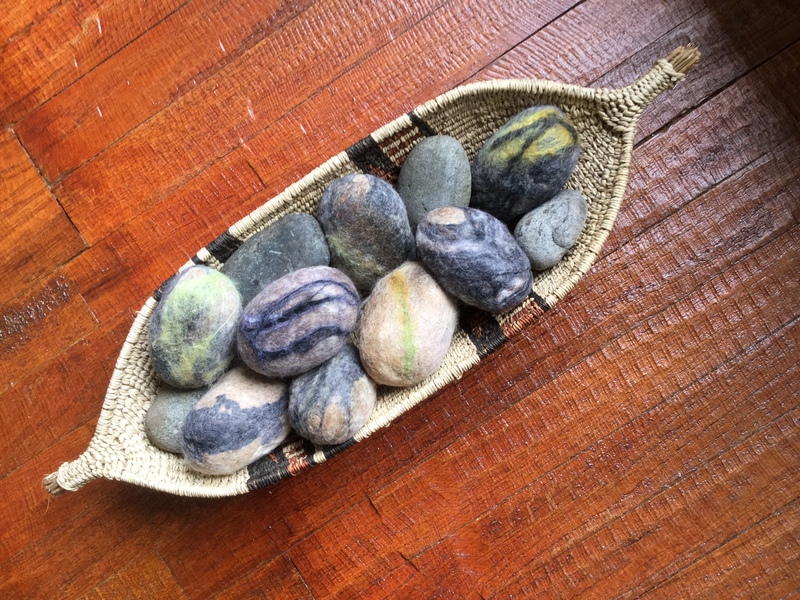 Hold felted soap under running water until it’s wet. Squish & rub to produce lather and use like regular soap. Allow to air dry between uses. Tuck scented wool into a drawer or closet after soap is gone. Place the bar on a soap dish with slats to allow the soap to drain. Made in Nigeria. Specially formulated entirely from natural ingredients and herbs, this soap will have you feeling refreshed and silky smooth. Black Soap restores damaged skin and is helpful in healing chronic eczema, acne, freckles, and dark spots. Scented with Osun (camwood extract), citrus juices, and native honey. Since black soap absorbs water, don’t let it sit in a puddle after use. Keep it dry to keep it from dissolving. Pure honey, shea butter, OSUN (camwood), palm kernel oil, cocoa pod ash, palm bunch ash, aloe vera, lime juice, water, and fragrance.